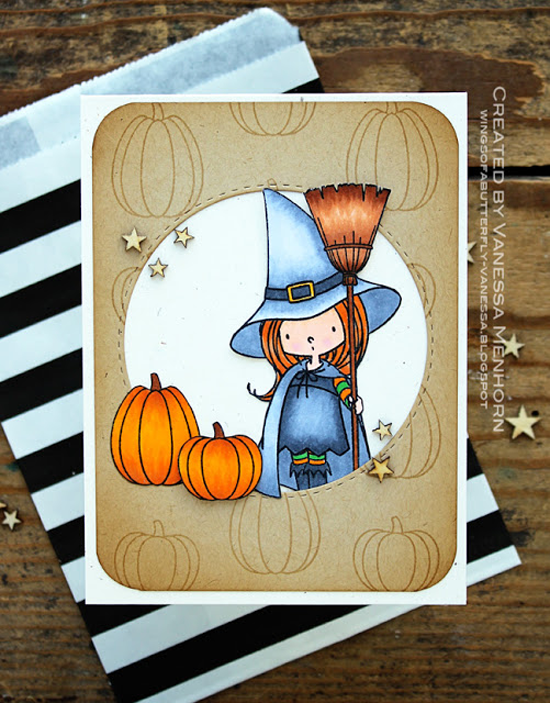 Challenge Team Member Jill Dewey Hawkins spotted this cute little witch card designed by Vanessa as an entry for our Sketch 242 challenge. Jill says, "Well, this is just so well done. Vanessa has some skills! :)" It's a the perfect time of year to pull out the Witch Way is the Candy? stamp set! 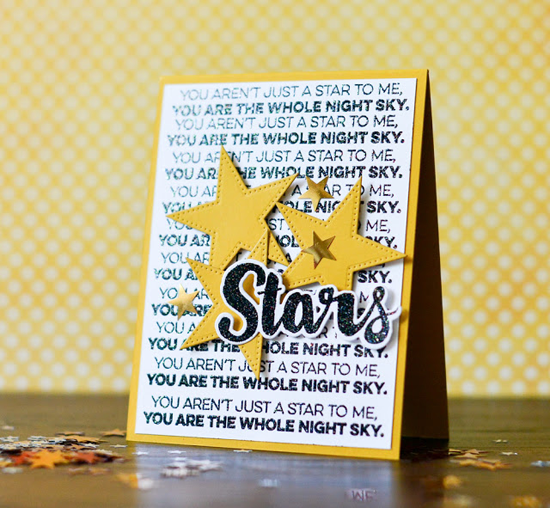 Contributing Team Member Inge Groot spotted Michelle's adorable card on her blog. Michelle used the Things With Wings stamp set and the Pop-Up Birthday Die-namics. 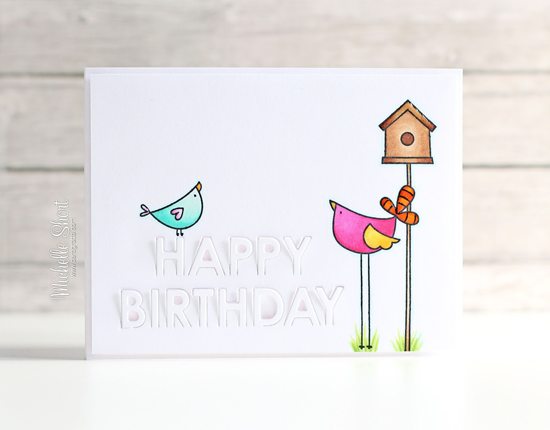 Michelle says in her post, "I love the cute birds in this set (well all of it is super cute actually!). How cute are those long legs though? :)"
I spotted Chitra's card as an entry for our MFT Summer School lesson on color temperatures. Chitra says, "OK. 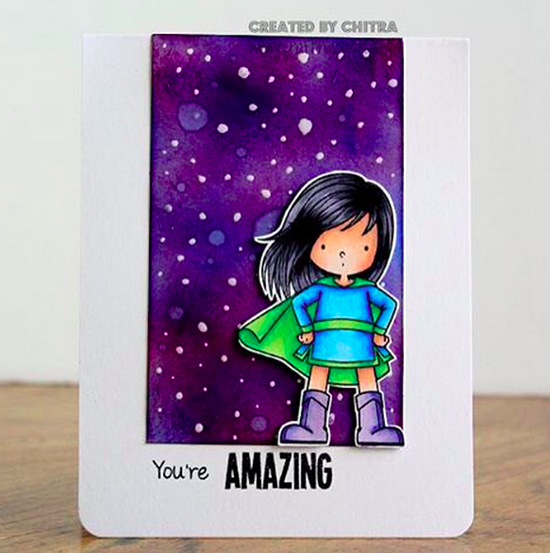 So warm colors are my go-to colors, which I would normally say bright and fun colors, and I will admit that it was kind of difficult for me to play with just the cool or the neutrals..." I love that Chitra stepped up to this challenge with this super fun design! MFT Graphics Guru Laina Lamb spotted this card in the My Favorite Things Challenge & Inspiration Group on Facebook. Vika used several products from the Count the Stars series. Laina commented, "Fun! Love this card!" Design Team Member Kay Miller sent me a message about Sandra's tags which started out with these words, "You will not believe how cute these are!" Oh, yes — SO cute! 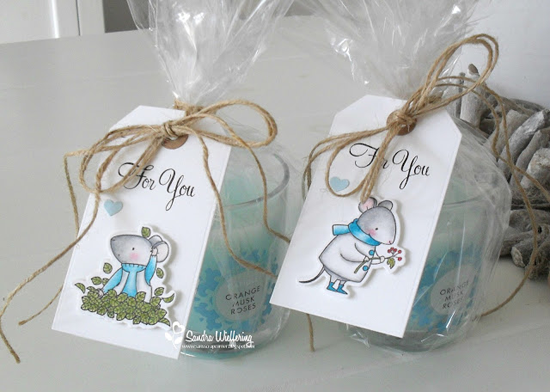 Sandra used the Harvest Mouse stamp set for these sweet gift tags she created to accompany scented candles for some of her creative friends. Kay gushed, "The colors are so beautiful, and the little gift tags are the cutest ever!" See you tomorrow for the next Sketch Challenge, and look for a new MFT Color Challenge this Thursday, September 24th! Girls!!!! Thank you so much!!!!!!!! Awesome cards ladies! Well deserved to be spotted. Thanks for sharing! Oh so much cuteness, great projects, and congrats on being SPOTTED!! Thank you so much Susan!!! Soooo happy to have my card spotted with all the other amazing projects!! !